PRODUCT DESCRIPTION: Granular fungicide which is both easy to apply and transport; a good material for turf disease like Dollar Spot or Brown Patch. Granules need to be watered in and will then be absorbed by the turf as it grows. 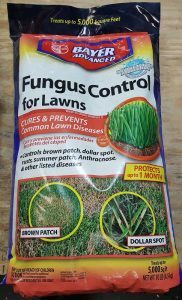 This systemic action will provide strong grass that is less susceptible to local fungus. The granules need to be applied via a spreader such as the ones we have featured in our article. Use 1.5 lbs per 1000 sq/ft for preventive applications; 3 lbs per 1000 sq/ft for curative applications. If you treat before the fungus starts you can space your applications every two weeks during the growing and fungus season. It will not hurt any kind of grass and once it has been absorbed, your turf will remain green and healthy all through the growing season. 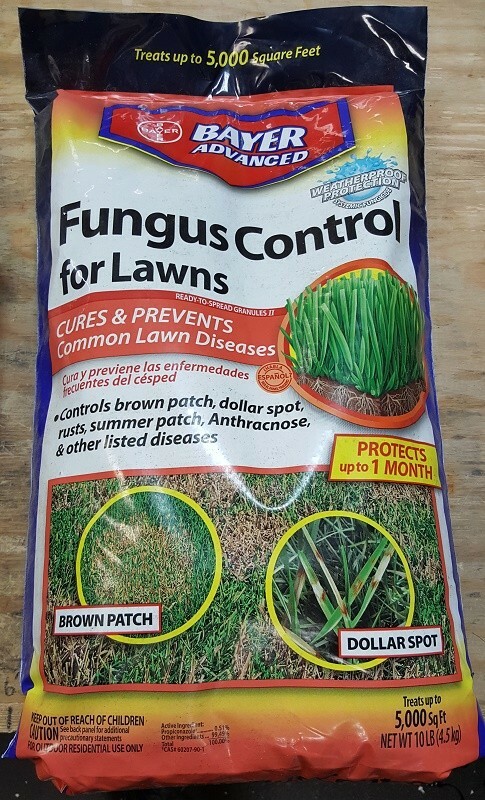 WHERE TO USE IT: Any type of turf or mulch areas which have disease. RATE OF APPLICATION: 6 lb bags will treat 1,500 sq feet when treating current problems and need the stronger, curative rate. For prevention, this bag will cover 3,000 sq feet. 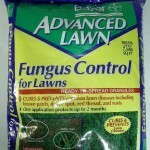 The larger 10 lb bag will cure 2,500 sq feet of infected turf and 5,000 sq feet when used to prevent fungus.